Burnley lifted themselves off the bottom of Premier League Group C this afternoon with a 4-2 win against leaders Bournemouth and ensured we still have more than a fighting chance of going through to the knock out stage. The win has, for now, lifted us from fourth to second in the table, but we will drop back to third this Sunday, no matter what the result is between West Brom and Liverpool, the other two teams in the group. Today’s game, at a bitterly cold Curzon Ashton, looked as though it was going to go our way only for Bournemouth to come from behind to take the lead, but then a superb comeback saw us home and dry with just a little bit of a scare close to the end when we seemed to clear the ball off the line any number of times in one frantic Bournemouth attack. It all started well for us. After a quiet opening, we took the lead after ten minutes with our first real effort. It all came when Bournemouth gave the ball away. Marley Blair (pictured) and Tinashe Chakwana linked with Blair finally firing home. Bournemouth had their moments but Burnley were the better team in the first half and we should have extended that lead from the number of chances we had. At times, Bournemouth saw more of the ball but we were creating the opportunities but failed to take another and so went in at half time with the slender one goal lead. But things turned round after the break. Bournemouth came out and had their best spell of the game and we found ourselves behind. They equalised with a close range header on 58 minutes and then scored again on the hour when Anthony Glennon got a touch for an own goal. Poor Nick Pope looked badly at fault with both goals in what was an otherwise fine workout for him. At that point, and with them so much on top, I didn’t see us getting much from the game, but within five minutes we were level. Blair got onto the ball turned inside his man just inside the box before blasting a right foot shot into the top corner. The game had changed. It was all Burnley now and it was no surprise when, ten minutes after the equaliser, we regained the lead. Rob Harker received the ball from Mark Howarth. It looked as though the chance was gone with the angle looking too tight but he hit a superb left foot shot from the right of goal which flew into the top of the net. This time we weren’t going to lose the lead and after another three minutes we doubled our advantage when Bobby Thomas headed home Tunde Bayode’s corner. Any expected Bournemouth response didn’t come initially but as the clock moved close to ninety minutes they gave it a real go and in one attack we appeared to get so many blocks in to keep the ball out, the best of them from Jordan Cropper who miraculously kept one off the line. But that was it and even through more than five minutes of stoppage time there were no more scares as we got our first win of the season in the competition with the final two group games to come next month. Coach Steve Stone was pleased. He said: “We go right to the end and that’s what Burnley teams are about and Burnley supporters, that’s what they want to see from their players and the football club and that’s what I want to see as well. Whatever the score is we keep going. That is something I’ve always instilled into them and it can be difficult. 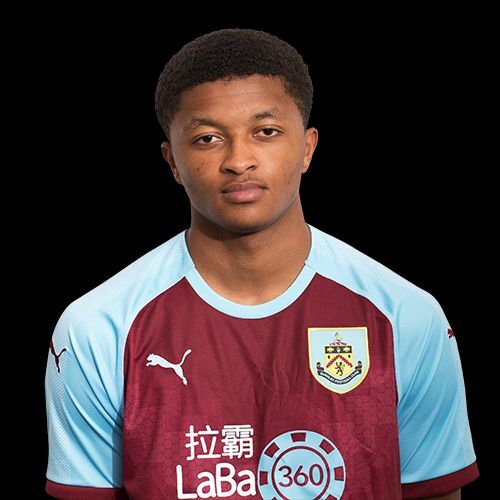 Burnley: Nick Pope, Jordan Cropper, Bobby Thomas, Anthony Glennon, Matty Rain, Tunde Bayode, Mark Howarth, Josh Benson, Marley Blair, Tinashe Chakwana (Dan Agyei 61), Rob Harker. Subs not used: Aidan Stone, Dan Moss, Ed Cook, Ethan Kershaw. Bournemouth: Tom Parker-Trott, Charlie Seaman, Frank Vincent, NNamdi Ofoborh, Corey Jordan, Dinesh Gillela, Gavin Kilkenny, Matt Butcher (Jaidon Anthony ht), Tyrell Hamilton (Jake Scrimshaw 76), Kyle Taylor, Keelan O’Connell. Subs not used: Luke Nippard, Gareth Stewart, Tom Hanfrey.